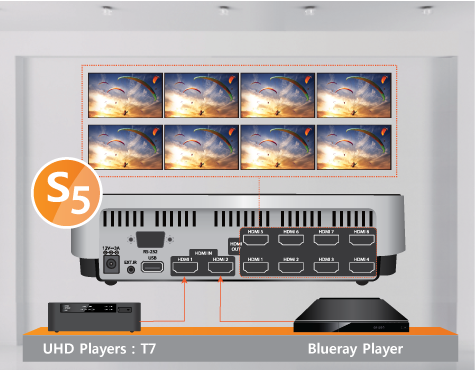 S5 is Ultra High Definition signal splitter and can be connected with various display devices. It’s possible to connect up to 2 input sources so that you can change source player with ease. UHD HDMI splitter is an ideal solution for retail vendors who need to display clear-cut quality pictures to display devices. S5 UHD splitter is capable of distributing a signal to multiple displays for TV stores, exhibitions and digital advertisement. Possible to connect 2 input sources. You can switch sources with simple pressing button. You can increase distribution numbers to connect more splitters. - When connecting T7 HVP-7004N(4 HDMI outputs), possible to connect 32sets of TV in Max. 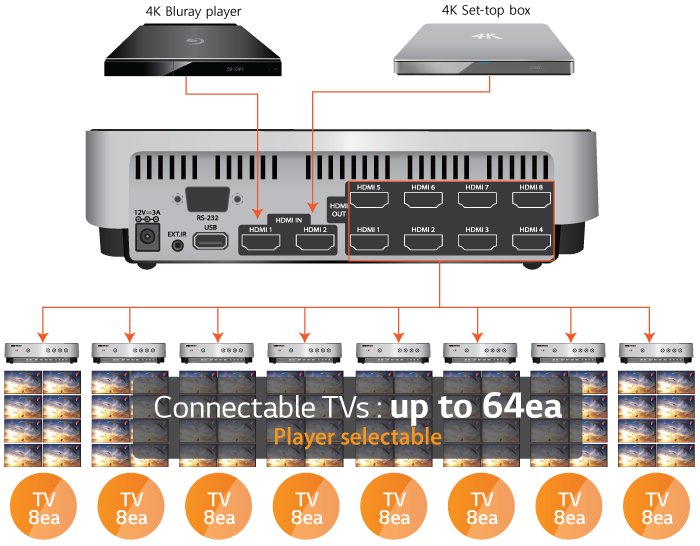 - When connecting T7 HVP-7008HA(8 HDMI outputs), possible to connect 64sets of TV in Max. DigitalZone HDMI splitter is checking information of TV or Monitor and supporting optimized mode for user. - Supporting FW upgrade by USB. 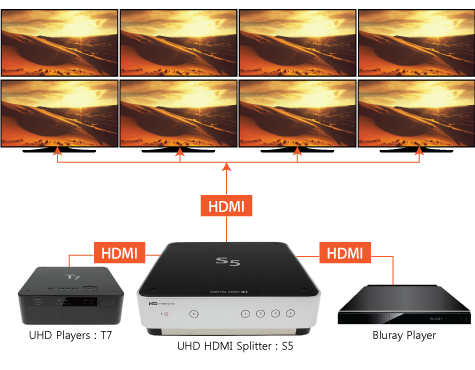 Supports mandatory 3D format in the HDMI 1.4 specification. 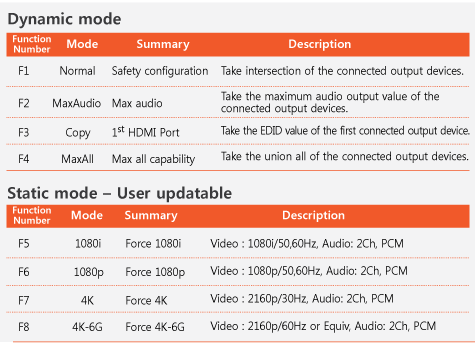 Other HDMI 1.4 features are not implemented. This specification may change for system enhancement without prior notice.